rutland & partners offers assistance to clients with their real estate matters in the Czech Republic. We offer complete legal services connected to real estate, where our lawyers have more than 25 years experience on the Czech market. Our services are effective and affordable. rutland & partners also provides one stop shop solutions for acquisition and management of your real estate in the Czech Republic from purchase, through management, to its disposal (apartments, houses, plots of land for construction, commercial real estate, including hotels). We are also experienced in leasing of offices and apartments in the Czech Republic and we can arrange asset management of your real estate in Prague (leasing, rent collection, condominium fee payments, representation at condominium meetings and other matters. Sometimes things go wrong. A competent Czech litigator can assure that you reach a good settlement of your case as litigation can get expensive. We always try to provide our clients with reasonable advice on possible success of their case and the cost of the procedure if they decide to pursue litigation. Usually we try to find the most effective way to resolve the client‘s matter without unnecessary costs, as the procedure in front of the Czech courts can be very lenghty and the result is not always certain. However, with zoning and construction permits, litigation with local administration is usually necessary and we are specialists in such matters. It is an unfortunate reality that often the local authorities will only take you seriously if you sue them. 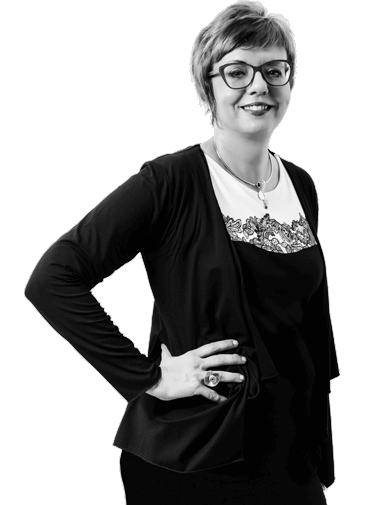 Monika Rutland is Czech real estate lawyer who has been helping both Czech and foreign private clients in local real estate matters for over 25 years. She has deep knowledge of the Czech real estate law and assisted clients in numerous apartment and house purchases/sales (including luxury apartments and houses), commercial leasing (retail and office), and construction matters. She is also representing private clients in administrative appeals in regard to their construction permit denials by Czech authorities.